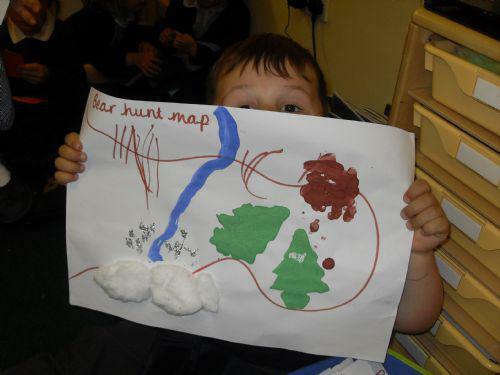 We made bear hunt maps. Making polar bears using cotton wool. We invited our families to help us create Christmas Elves on our INSPIRE afternoon. Everyone was really busy and we made some really impressive Elf decorations. 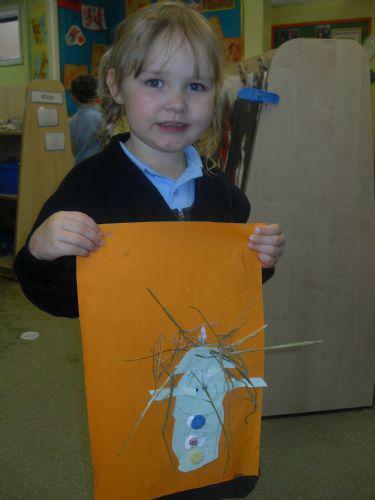 What a super scarecrow and you made it all on your own. Our Greengrocers role-play area was great fun. Autumn colour mixing. Red + Yellow = Orange!